If you are a true foodie and travel around the world in search of new flavors, head for London. It’s famous for its many high-end venues that have been awarded Michelin stars. Paying with a credit card that offers a dining bonus category will bring you cash back, points, or miles. 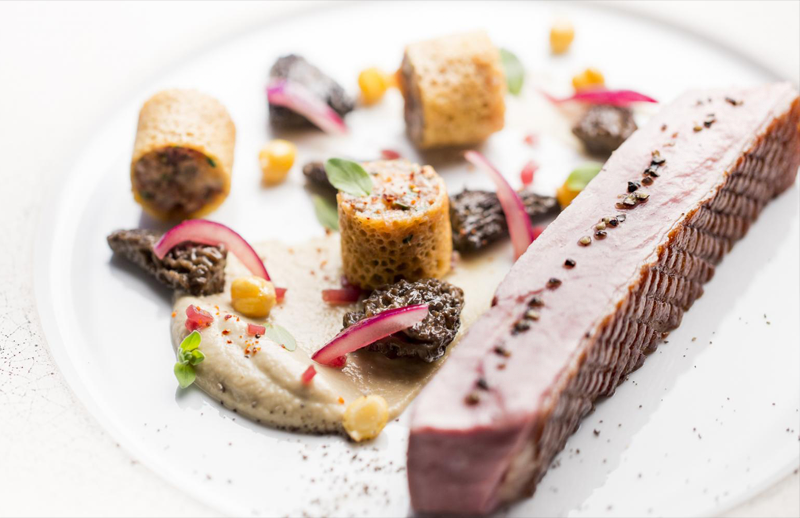 Why visit London Michelin restaurants? London has absorbed a little of all the world’s cultures, which has allowed multiple dining establishments featuring various world cuisines to thrive in the city. And dining out at the most highly praised restaurants is an experience worth trying. 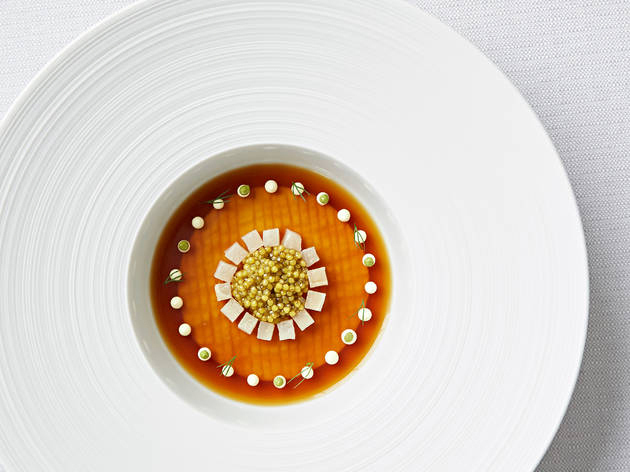 We have prepared a list of our top ten restaurants that have managed to grab two or three Michelin stars. Outstanding service and breathtaking menus will make you fall in gastronomic love with the seductive dishes served there. And as a bonus, we’ll reveal a secret for how to earn miles at these upscale restaurants. Interested? Let’s begin. Even the most picky eaters can’t resist a perfectly cooked pigeon with fennel, apricot, and buckwheat; or ravioli of lobster, langoustine, and salmon with oxalis and sorrel. Have lunch for £70 and be ready to pay up to £120 for the á la carte menu and as much as £185 for the seasonal inspiration menu. Truly innovative cuisine is worth trying in order to experience something really unique—try the lobster with Jersey Royal potatoes and wild mushrooms or fillet of John Dory with green peas and squid. 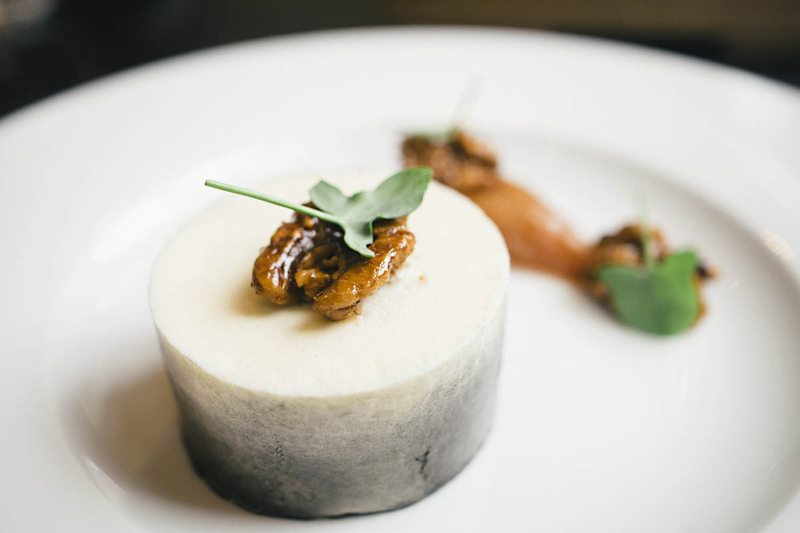 Try a three-course lunch for £65, the tasting menu for £140, or the seasonal menu for £180. 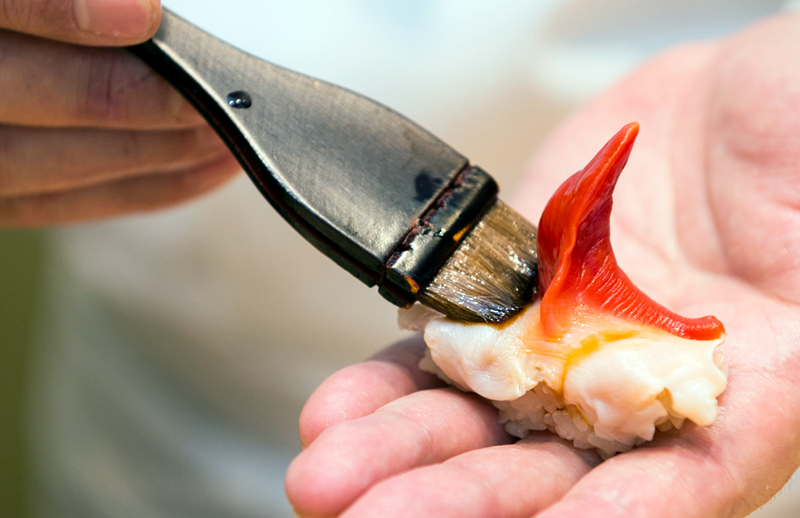 How about genuinely superb sushi made with fish caught off the coast of Ireland and rice from a farm in Saitama? 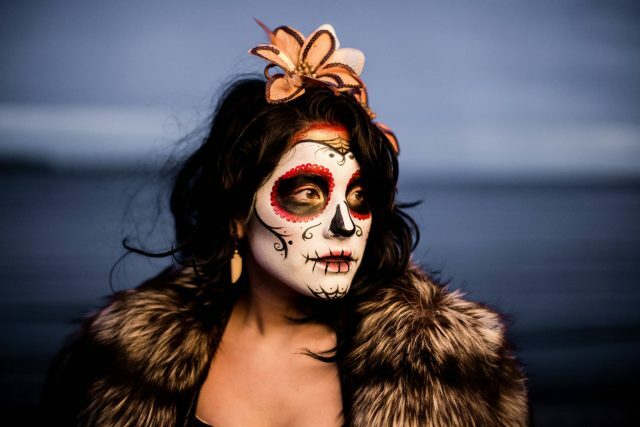 It’s a crime to put off visiting this mysterious, well-hidden venue. The Chef’s set menu will relieve your pocket of a massive £300. They say dishes served here are worth calling culinary icons — no more, no less. This spicy description intrigues us so much that we can hardly wait to try dishes such as powdered duck breast or fillet of Hereford beef. £45 for the set lunch menu. And the Chef’s Table menu runs up to £225. Signature dishes like black pudding with crumbed egg and crackling asparagus salad or lobster mousse with aquitaine caviar and champagne butter sauce will bring you back to the venue time and again. Prices range from £70 for a business lunch to £265 for the tasting menu with wine. Have an unforgettable experience tasting exclusive scallops with tandoori, carrot, citrus, and coriander or lamb with greek yogurt, aubergine, and Sultan spices. This true cuisine d’auteur will leave a mark in your heart as well as your stomach. The set lunch menu is reasonable at £55, while the inspiration menu creeps up to £185. Special ambience and fine French culinary art with its exquisite mix of flavors and textures will blow your mind. 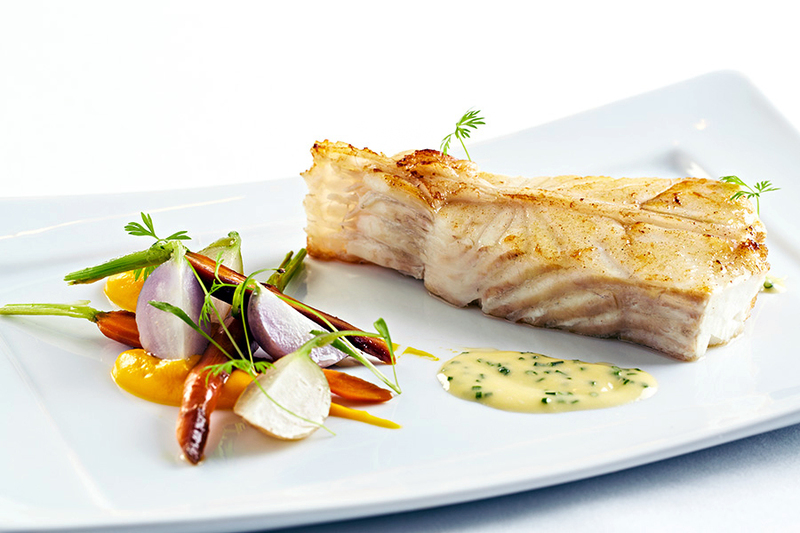 Try the wild sea bass with avocado, coffee, and sorrel; or smoked eel with beetroot, dill, and pumpernickel. The restaurant offers the set lunch menu from £40 to £60 and charges up to £125 for the tasting menu. 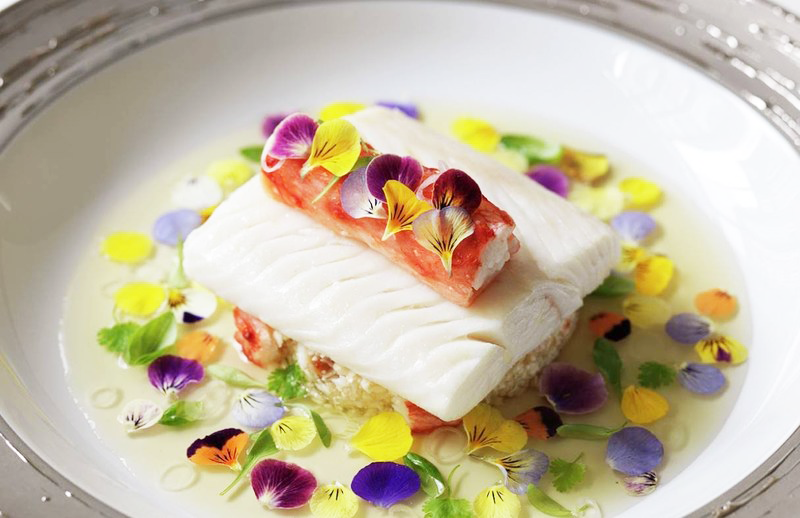 This iconic restaurant with an elegant French heart offers exquisite dishes like cornish sea bream with new season girolles, smoked almonds, and apricot; and Scottish lobster with Singaporean pepper sauce. The Sunday lunch is offered at £33 and the surprise tasting menu ranges from £85 to £120. 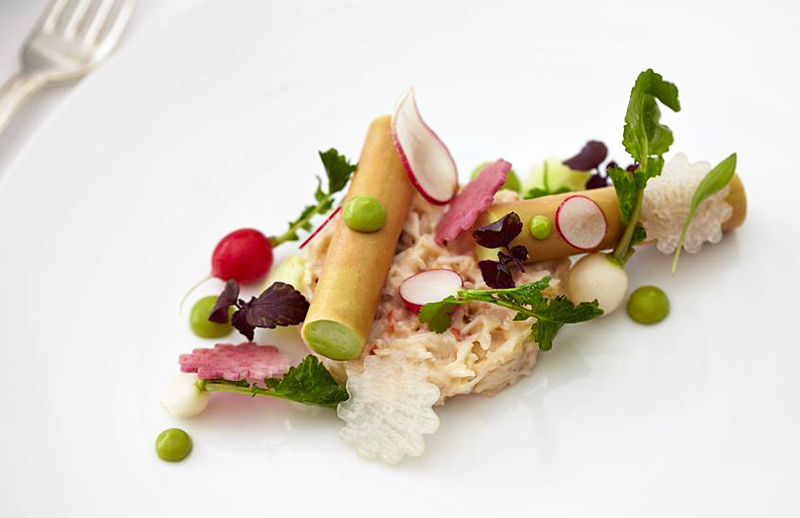 With a focus on contemporary British cuisine, the restaurant offers a simple but divine menu. 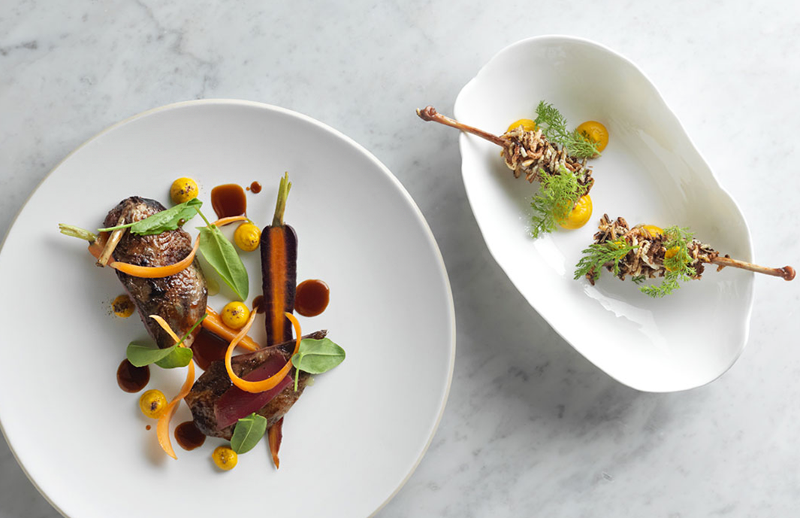 Try Herdwick lamb with apricot, onion, and burrata; or turn to Cumbrian rose veal neck with peas, girolles, and miso. The five-course lunch menu costs £55, and for the tasting menu be ready to pay up to £120. Be prepared to experience true bliss once you take the first bite of cornish cod with courgettes, basil, and lemon; or candy beetroot baked in clay, caviar salt, and smoked eel. 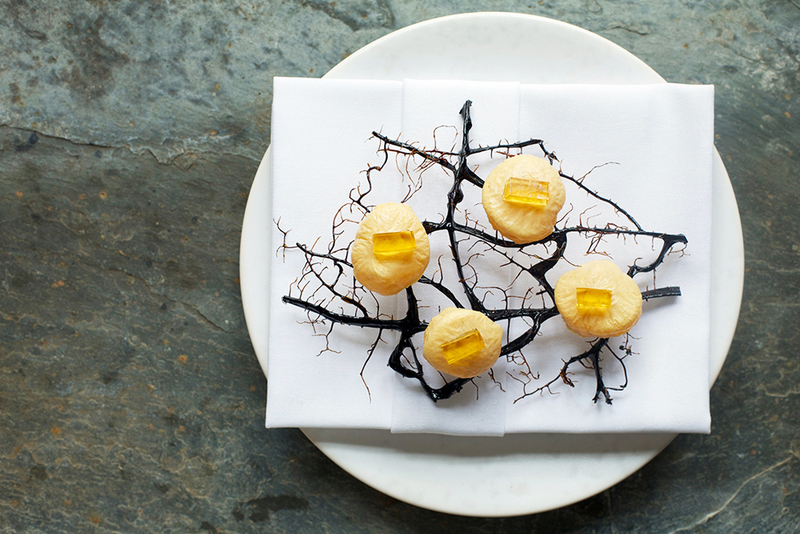 The restaurant offers a set lunch for £80, and the tasting menu runs between £150 and £260. The recipe is simple: bring a credit card with a dining rewards category with you. Each time you swipe your card at eligible dining establishments, you’ll be showered with rewards, whether in cash back or points for each dollar spent. After analyzing dozens of credit cards that allow you to earn rewards for eating out, we are ready to share the best options with you. All of the cards below have no foreign transaction fees, are accepted worldwide, and can bring you rewards in these restaurants for sure. Best for cashback rewards and no annual fee: the Uber Visa card by Barclays nets you 4% cash back on dining, one of the highest cash rewards for eating out at restaurants on the market. Best for premium travel rewards: the Chase Sapphire Reserve® card earns you a generous 3X points on dining purchases, one of the best options around. Best for beginner travelers: the Chase Sapphire Preferred® card earns you 2X points on dining out. The $95 annual fee is quite reasonable considering all the benefits the card offers. Best for earning flexible ThankYou® points: the Citi ThankYou® Premier card earns you 2X points each time you swipe it for eligible dining purchases. 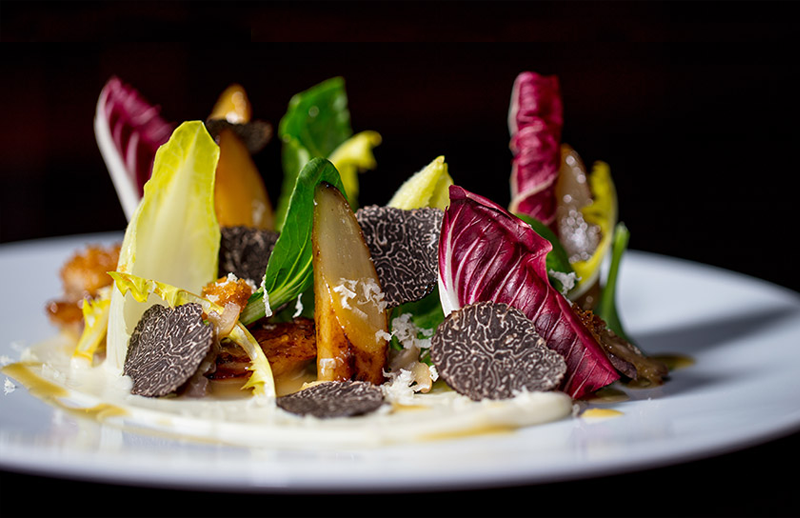 By the end of writing this article we had a solid feeling that all roads lead not to Rome but to London’s restaurants. And it’s not surprising: it’s easy to get inspired looking at all those pictures of savory, playful dishes. So if your interest was piqued as well, put one or several venues on your must-visit list and bring a rewards credit card with you to London. Have a nice trip and say hello to gold caviar and mouthwatering foie gras plated on fine porcelain.